*Due to the paint processes used, a colour variation with matching toasters is possible and may not be a 100% match. This Dualit Classic Kettle is truly built to last. Fitted with a revolutionary patented replaceable element, the lifetime of your kettle is greatly extended. 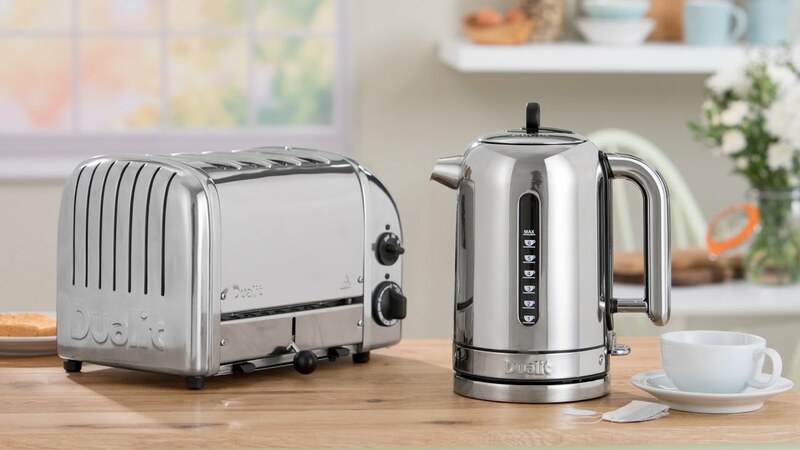 The Dualit Classic Kettle is cleverly designed with two different measuring windows. For avid tea drinkers, one side features a cup level indicator and the other side measures the water in litres. The Classic Kettle is the quietest kettle that Dualit have designed. It has been awarded the Quiet Mark - the international mark of approval from the Noise Abatement Society.